Born in Surrey, England, James Smith was brought up in the USA and South Africa before his globetrotting family returned to Essex in the late 1970s. Following college stints at Chelmsford and Leicester, he embarked on a career in the computer business. This, however, was short-lived as he spent much of his time and energy surfing, writing, recording music, and filmmaking. He now directs independent feature films and develops writing ideas, many of which are based on experiences from frequent visits to Andalucía. My début novel, Andaluz Blood, is a conspiracy thriller set in England and Spain. The idea came about a few years ago when I stayed for some months aboard my father’s old yacht in a marina not far from Almería. The story is centred around Charles Hale, a mostly sober, educated professional. A seemingly ordinary Englishman, Hale often travels to Spain for ‘sailing holidays’, but this is merely a cover for contraband runs he makes with seasoned criminals with whom he colludes - all measures to address his dire financial situation back in England. Hale is smart, has a cutting dry wit, but is also fallible in a rather English sense, which perhaps explains why he has spiralled into debt and often finds himself in unfortunate or downright dangerous situations. Although entirely fictional, Andaluz Blood is inspired by my observations of local Spanish communities, tourists, and expats. I believe this story is very different from other Spain-related novels, since it is concerned with the interaction and contrast between English and Spanish (and to some extent Eastern European) people and cultures. 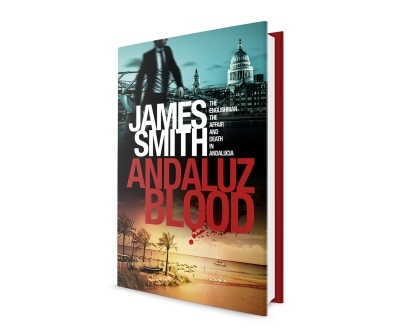 Andaluz Blood is predominantly a thriller, not a romanticised travelogue with a cop story tacked on for good measure. I hope to have achieved a fast-paced style, laced with humour, which examines the gritty and unsavoury characters involved. 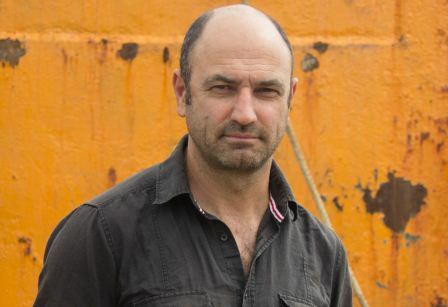 Another element - perhaps adding to this story’s uniqueness - is that of the lead protagonist’s position on the fringes of the law: Hale’s intention to escape criminality is honourable, and yet, he is used by international authorities to track influential mobsters. There is a strong conspiratorial aspect within certain chapters relating to the British law enforcement agencies, some of which is drawn from my past experience of working for large organisations such as the Ministry of Defence. Certainly, this is no ‘thugs on the Costas’ novel. Indeed, Hale is somewhat of a hopeless romantic, pursuing a perhaps flawed notion of an ideal relationship with an Andaluz woman he meets in a bar. The story weaves through the lives of many varied and obscure characters - some are brutal knuckleheads, whilst others are intelligent and honourable, sinister or devious. These characters are inspired by people I have researched or known personally during my experiences in Britain and Spain spanning many years. To add spice to the story, I included many settings, which have become familiar to me on my travels. For example, in London, I draw not only on the corporate environment, but also on traditional locations and establishments unique to the city - pubs, cafes, cobbled streets, architecture, and hotels. In Andalucía, rather than dwell on flamenco, bullfighting and familiar ‘travel writer’ themes, I try to remain impartial, conveying cultural depth and the contrast with Britain - extreme summer heat, gregarious people, open bars and cafes, and certainly the underbelly of Spain’s society and lifestyle, which is richly diverse and not always pretty. And as soon as we’ve settled in Spain, I move the story back to Britain - to the dank mist of a fishing village on the Thames, Leigh-on-Sea, where Charles Hale learned to sail and where his story really began. Charles Hale is on the run from crippling debt and his own demons. He lives in a conspiratorial world in which no-one is quite who they seem, and from which he yearns to escape. Inevitably, Hale’s double life must be exposed, and a complex web begins to unravel when the tenacious Inspectora Jefa Rosa María Díez of the Policía Nacional investigates a death at a Spanish marina. A seemingly ordinary man, Hale, forty-five, university educated, holds down a mundane office job in London under the auspices of an insufferable boss. But Hale harbours dark secrets. To address his dire finances, he exploits his skills as a yacht skipper during trips to southern Spain. For some years he has colluded with seasoned British criminals, Jack Weir and Dean Oliver, to run contraband across the Alborán Sea from Morocco to the coast of Almería. Hale is in denial, regarding himself merely as the skipper, but Jack and Dean’s wide-boy boss, ‘Happy Gary’, pressures the crew to deliver regular shipments of cocaine and hashish, making Hale’s perceived detachment from criminality simply flawed. Hale becomes increasingly ensnared within the world of mafiosos when a series of events converge to form a dangerous predicament. One night, he becomes friendly with a beautiful Andaluz woman, Marta, in the marina bar, El Timón. Later, they have an intimate encounter on the beach, returning by taxi in the early hours to her apartment some miles inland. But Hale notices that they were watched on entering the building by someone in the shadows. He is later mugged when leaving. Hale’s affair is set to have wide-reaching and sinister implications, not only in respect to his relationship with his English fiancée, Lucy, but also since Marta’s boss is Berto Morillo, a notorious local mafioso connected with Russian criminals and organised crime. Gritty, fast-paced, and controversial, the story follows a seemingly ordinary commuter who becomes embroiled with international organised crime and dangerous mafia factions. James Smith has created a compelling blend of styles reminiscent of Baldacci and Ludlum, laced with dry English wit.